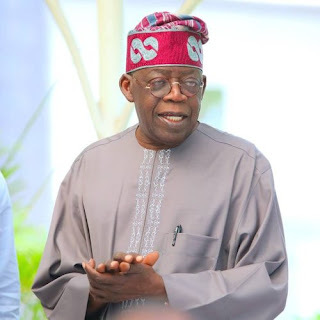 National Leader of the All Progressives Congress (APC), Bola Tinubu, on Wednesday refuted rumours that he was in Kano and meddling in the state’s rescheduled elections. Tinubu in a statement made available to newsmen by his Media Adviser, Tunde Rahman, said he had not been in Kano at any point during the conduct of the elections. He said that the picture of himself and Gov. Abdullahi Ganduje of Kano that was circulating in the media was taken in 2018 when the governor visited Lagos insisting that such rumours are harmful to the democracy Nigeria seeks to enshrine and goes against the progressive tradition that describes Kano’s politics. “For the record, I’m not in Kano and I’ve not been in Kano at any point during the conduct of these elections. “The picture that these liars are circulating is one that was taken last year when the governor visited Lagos. “If the people do so, then they would have voted in their best interests and that is for the APC, the party of President Muhammadu Buhari,” he said.